Building our dream home with McLachlan homes was without question the best decision we have made. 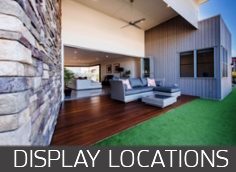 Having just moved from Darwin, we decided we would build our dream home in Upper Kedron, Brisbane. We contacted a myriad of house builders, everyone was happy and eager to build our designer home, however, Terry Young from McLachlan Homes was the only sales and design consultant that actually met us face to face, took the time to visit potential blocks of land and discussed pros and cons of each block relating to our house design. Terry’s knowledge, honesty, advice, guidance and friendship were invaluable throughout the design phase. Sophie, our customer service officer was an absolute god send. Her patience, humour and practicality in advising on the 120-odd individual changes we made to the original signed contract were nothing less than amazing. Nick Cross, our building supervisor, WOW….the ultimate professional. Nothing was a bother and our questions were answered with accuracy and honesty. It was clear, from an outsider’s perspective, that he had a positive relationship with all his subcontractors; which was made evident in the quality of finish throughout our home. He never once settled for anything less than perfect. His attention to details was synonymous amongst the tradesman I spoke to. 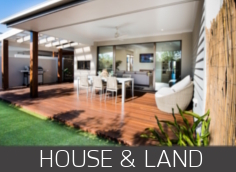 What made our experience memorable and definitely different from other home owners I have spoken with was spending short periods of time with McLachlan’s subcontractors, learning and gaining a better appreciation of why McLachlan homes are the best. Therefore, I would like to formally thank them in this testimonial. Bob and the two brothers Lachlan and Kerid the framers, Aaron the concreter (best Aussie-kiwi I’ve met), Uno and Aaron’s hard working boys, Roger the fix out chippy, Steve and Reece from Aspect Cabinetry and last but definitely not least Steve and Gavin the painters. Finally, Brad McLachlan thank you for understanding and accommodating when things didn’t go to plans with the bank; obviously it worked out in the end. The amount of passer-byers commenting on our house has been overwhelming. We are extremely proud to say we own a McLachlan built home. For those people out there, who would like further clarification or ask specific questions, don’t be embarrassed as it’s a lot of money you are spending. Moreover, get in contact with one of McLachlan’s amazing office staff and I’d be happy to discuss my experiences and potentially answer those nagging questions.